Thousands of computer users across the globe scrambled on Wednesday to reboot after a wave of ransomware cyberattacks spread from Ukraine and Russia across Europe to the United States. 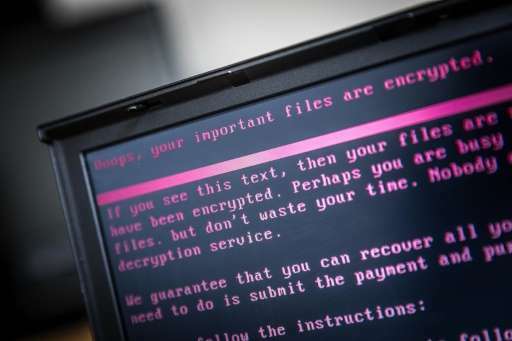 The virus, which locked up files at companies and government agencies including the Chernobyl nuclear site and demanded a payment worth $300, appeared similar to the WannaCry ransomware that swept the world last month, hitting more than 200,000 users in more than 150 countries. Some IT specialists identified the newcomer as "Petrwrap", a modified version of ransomware called Petya which circulated last year. But Kaspersky described it as a new form of ransomware. In Ukraine, which first reported issues and appeared most heavily hit, companies and critical infrastructure operators were still struggling to cope with the virus. Employees at the Chernobyl nuclear site were continuing to use hand-held Geiger counters to measure the levels of radiation after the monitoring system was shut down by the hack. Online arrivals and departures information for Kiev's main Boryspil airport remained down, but its director said the hub was otherwise operating as normal. Meanwhile, delivery service Nova Poshta said it was still facing problems with accepting payments by card and the Kyivenergo energy supplier said customers were having issues accessing accounts. The attacks started Tuesday at around 2:00 pm Kiev time (1100 GMT) and quickly spread to 80 companies in Ukraine and Russia, said cybersecurity company Group IB. In Russia, major companies including the oil giant Rosneft said that they had suffered cyberattacks at roughly the same time. India's government on Wednesday said operations at a terminal at the country's largest container port in Mumbai, run by Maersk, were disrupted. Security specialists said the cyberattacks on Tuesday exploited an already patched vulnerability in Windows software and appeared to have focused on Ukraine as a primary target. The flaw—and the means to exploit it—had previously been disclosed in pirated documents about cyberweapons at the US National Security Agency.